Like many other bookmakers, Irish bookie Boylesports.com offers players access to slots and table games via multiple casino, games and Vegas channels. The site utilises the Playtech platform and is licensed in both Gibraltar and United Kingdom. Unusually, it still offers a download casino option but players can also play via an instant casino on desktop and mobile. New players to Boylesports Casino are offered a slightly different bonus offer when compared to other brands. To take advantage of this offer new players need to opt-in and then stake a minimum of £100 on selected DC Superhero slot games. This will result in the award of a £100 Casino Welcome Bonus. Terms and conditions apply with respect to this new player bonus. These terms include a x20 wagering term. Note that this offer is now for Ireland players only. UK players should head to the Games section where a 300% bonus is available (x10 wagering term). As well as offering DC Superhero slot games such as The Dark Knight Rises, The Dark Knight, Batman Begins and Superman II, Boylesports Casino also has many other top titles. These include Age Of The Gods, The Great Reveal, Aquaman, Gaelic Luck, Jackpot Giant and Coin Coin Coin. 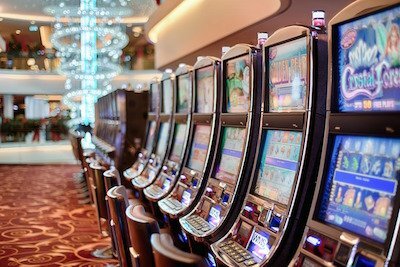 These slots are joined by progressive jackpots, table games and live casino. Within the live casino players will find Spin A Win and Football Roulette. As mentioned above, Boylesports also have extra slots under their Vegas and Games channels. within Vegas you’ll find slots like Rainbow Riches and Mega Moolah. Some of these are shared with Games but are joined by NetEnt slots. 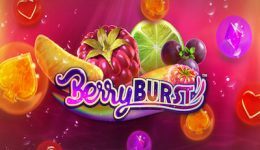 Popular slots includes Vikings, BerryBurst, 7-Up, Aloha Cluster Pays. Poker and Bingo complete the options open to gamblers who sign up at Boylesports. One area where Boylesports doesn’t quite hit the heights is in terms of promotions. Under Games we found the chance to win spins on the game of the week plus a new player offer. However elsewhere there’s the above mentioned welcome offer and nothing else. 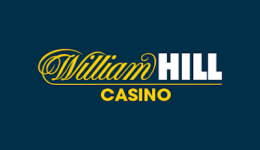 This is disappointing when compared to other brands such as William Hill and Ladbrokes. On a more positive note, Boylesports has mobile casino options for both Apple and Android. In addition they also have a download casino option. This is something we thought was being phased out. However it’s nice to have the option but we suspect that the mobile casino is perhaps more popular. The mobile app allows access to most casino games including Jackpot Giant and Age of The Gods plus roulette and blackjack. Boylesports.com gives players in Ireland and The UK access to top slots and table games. The welcome offer isn’t particularly friendly to low rollers and the lack of promotions is disappointing. However the slots are on a well known platform with a recognised brand. This should give players the confidence to consider Boylesports as an option.